We were walking in the forest, steadily, over fallen bamboo leaves. Ahead of us were more clumps of bamboo, standing out from passages of resplendent, luminous Sal forests. All of a sudden, there was a cry from one of the group members. We ground to a halt. The bamboo clump right ahead looked scattered, like the nucleus of a flower turned inside out, a painting made by a crazed artist. Unmistakably, these were signs of presence of elephant — elephants had foraged through the bamboo, leaving it in chaotic bits and pieces. The air was cold, like cut diamond, pure and clear. But the tension in our group was thick, settling heavily around us. The guards with me were grasping their lathis a little tighter, eyes shining bright, mouths set in hard lines. I knew though that it was not elephants they feared. It was perhaps the hint of Naxals, who had burnt parts of the Maromar rest house buildings in their rebellion against the state. Kamajhiri, an old, terracotta-roofed forest rest house in Pench Tiger Reserve. As we approached the rest house, with its scorched tree house and singed trees, the sight of the main building took away my breath. This rest house in Jharkhand’s Palamau tiger reserve, built before Independence, had survived the human hand. It was quaint, impeccable and the sort of colonial design one doesn’t get to see much anymore. High ceilings, white walls, funny handles. Somehow this place had survived efforts at plywood-and-glass modernisation. It had also survived the approaching forest. It had endured and it deserved honour. Karmajhiri Forest Rest House by night. While forest rest houses (FRHs) across the country are stunningly beautiful — relicts of a forgotten, and climate friendly architecture — they have also been at the centre of struggle. Meant primarily for the forest department to survey or inspect forest, these grand old buildings have been eyed by other departments, who have often assumed control. There have been proposals to commercialise these places through public-private partnerships. And many buildings have been modified in ways that do no justice to their heritage. Old, heavy furniture has disappeared or is kept without care, replaced by cheap, shiny new things. A rash of modern tiles cover old surfaces, and mirrors with glittering panels and golden-brown polyester curtains hang like invasive aliens in these solemn old spaces. The climate-friendly lessons the buildings hold, almost a century before the advent of air-conditioning, have dissipated. Ventilating windows have been boarded, the lessons of high ceilings forgotten. A new judgment by the Supreme Court, announced last week, comes as a breath of restorative air. 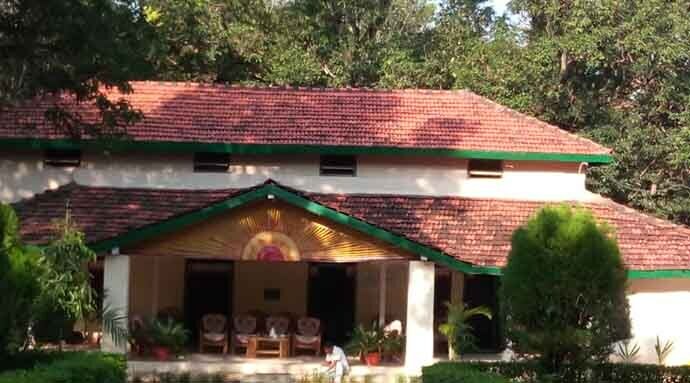 The apex court has said that forest rest houses need to be under operational control of the forest department, and none other. This summer, I was in Karmajhiri, an old, terracotta-roofed forest rest house in Pench tiger reserve, Madhya Pradesh. We had just come back from the forest. The air was golden, sizzling at 44 degrees Celsius. The only respite from the overpowering heat was a shower of cicada rain. Cicadas give out a liquid that will fall on your face as you pass by. In the central Indian heat, when things take on a mirage-like quality, you’d even take what comes out of an insect, if it helps cool you down. In the deciduous forest, largely leafless in the beginning of summer, I saw langur monkeys hugging trees, gathered tightly in the little strip of shade afforded by the trunk. The whole forest was holding its breath and waiting for the monsoon. 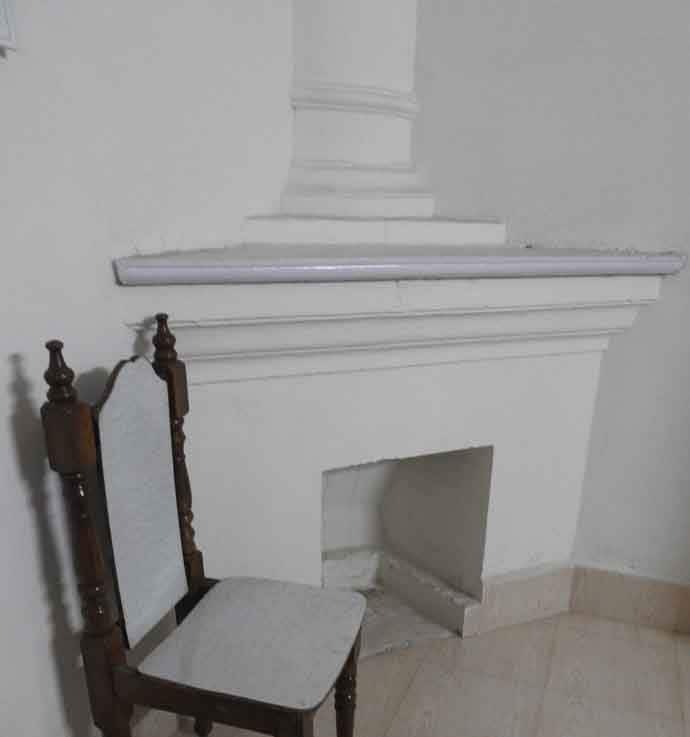 The fireplace in Rukkhad forest rest house. 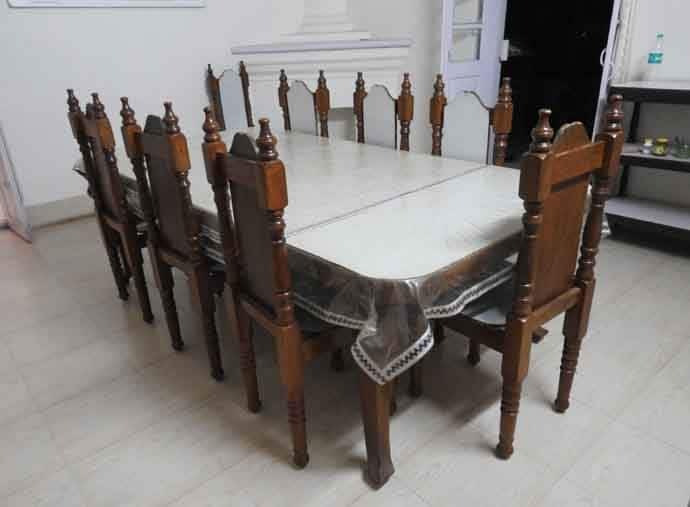 The thick-walled building is cool in summers while the dining room is warm in winters. As I reached the Karmajhiri FRH, the verandah’s shade felt like a soothing balm to my inflamed, sunburnt limbs. Old FRHs are often built to have deep verandahs that encircle the entire building, offering relief from both scorching heat and slashing monsoon rain. And as I entered the room, the heat seemed to dissolve away. The high ceiling of the building and its little, unreachable ventilating windows were custom-made for the unforgiving summer. As the hot air rose, it dissipated through the windows just below the ceilings. At the very centre of the building was the dining room, equipped with a fireplace. The thick-walled building is cool in summers, the dining room warm in winters. In sharp contrast was a new dining space next to the old forest rest house — a modern construction with low ceilings, flimsy doorways, as hot as any other building in the fury of central Indian heat. A step in to these old FRH or inspection bungalows — be it Rukkhad in Madhya Pradesh, Pench in Maharashtra, Corbett in Uttarakhand, Northern West Bengal, or IBs in the Himalayas — feels like a step back in time. These are preserved parcels of history, gift-wrapped in memories a natural historian or an aesthete would love. And I am not suggesting these need to remain part of an anachronistic or disused past. The dining space in Rukkhad forest rest house. There should be an exciting future for these buildings — a centre for meetings on conservation science, inspections and monitoring, and an abode for modern conservation researchers. Restoration has to be careful and meaningful, and the buildings should be used for what they are meant — a study of the forest. The melding together of conservation science, architectural history and a dynamic forest is precious. When I think of — and go through — heat and pollution islands in cities, my mind goes back to the thick walls, mosquito-netted four-poster beds, and high ceilings of Karmajhiri. From the past is a lesson for a climate-adapted future, which no number of modern steel and glass buildings can erase. This first appeared in my column for DailyO, here.